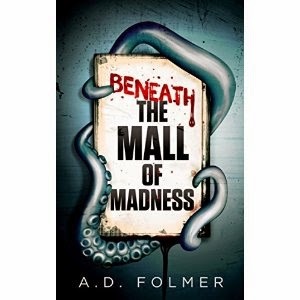 A.D. Folmer's "Beneath the Mall of Madness is a novel with a classic horror novel vibe to it and a humorous tone. The story follows Jaspar Windisle, an experienced channeler of the dead, as he helps the community with their questions about the culprits of haunted houses and figures out the ingredients of long-lost family recipes. Events turn even more interesting when Jaspar receives an invitation to work for Jesticorps on a mall project for a town that has a unique band of pranksters and policies. Folmer takes readers on a journey to solve the mystery beneath the mall. The book is highly entertaining with its inventive plot, humorous tone, and fascinating characters. The main character of the series, Jaspar, is developed well and is charming and likeable. If you like classic horror novels, then "Beneath the Mall of Madness" is a must-read.